Valencian musician, composer, producer and sound engineer specialized in plucked string instruments from the Eastern Mediterranean, the Middle East and Central Asia. 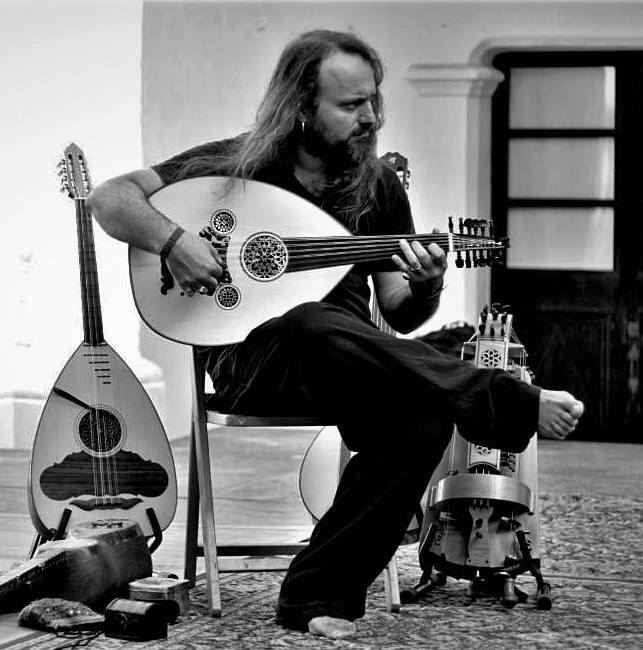 He has studied hurdy gurdy with Maurizio Martinotti, Nigel Eaton and Pascal Lefevre, and technique of various instruments of the Eastern Mediterranean with Ross Daly, Erol Parlak, Mehmet Erenler, Erdal Erdal, Erkan Oğur, Omer Erdogular, Necati Çelik and Yurdal Tokcan among others. He has participated in countless projects with musicians from all over Europe, the Arab world, Turkey, Iran and India. Medieval music: Jordi Savall, Capella de Ministrers, Evo, Maria Laffitte, Estampie, Oni Wytars, Via Artis Konsort. Turkey: Göksel Baktağir, Derya Türkan. Cyprus: Mihalis Kouloumis. Greece: Stelios Petrakis, Ross Daly, Kelly Thoma, Maria Thoidou. Arab countries: Noma Omran, Aya el Dika, Andalusıan Orchestra of Rabat. France: Eléonore Fourniau, Sylvain Barou. Iran: Sima Bina, Siamak Aghaei, Pedram Khavarzamini, Kourosh Ghazvineh, Bashir Faramarzi, Ziya Tabasian, Bijan Chemirani. Afghanistan: Daud Khan Ensemble. Germany: Faun, Qntal. India: Parvathy Baul. Spain: Rocío Márquez, Carles Dénia, Maria del Mar Bonet, Miquel Gil. He is founder of the bands Trio Petrakis / López / Chemirani, L’Ham de Foc, Evo, Aman Aman, EAR and Sabir. With all these projects he has performed in North and South America, Europe, North Africa, Turkey, India and China. As a teacher he regularly gıves workshops on instrumental technique and theory of Modal music in Portugal, Spain, France, Cape Vert, Turkey, Greece, Cyprus, Italy, Germany, Belgium and the Netherlands. Since 2005 he organizes tradıtıonal music workshops with teachers of the highest level in different locations in the regıon of Valencia ın Spaın, bringing traditional forms closer to local musicians. He has participated in the recording of more than 60 albums, nine of them with his own projects, being awarded with several prices in Spain and Germany.